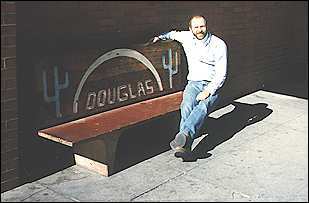 Let the author recommend a classic neon motel for the city you wish to visit! of the classic American neon motel." Please note: our Web address has changed. 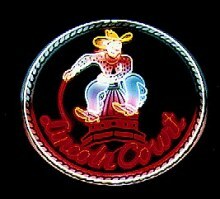 We've got our very own name now: Neonmotel.com. Please save it to your bookmarks. "My altar is a bittersweet acknowledgement of the passage of time, a source of nostalgia for the not-so-young, and an educational tool for youth. For the past 20 years I've been schlepping my collection of 8-track tapes around, unable to pitch any of it because of the amazing music, associated memories and the mistaken belief that there would be a resurgence in popularity of this now largely forgotten audio format. The altar honors the permanent departure of this obsolete technology from my garage--much to my wife's delight." Former New Times staffer Douglas Towne presents his altar/ode to defunct technology in conjunction with the gallery's larger "Dia de los Muertos" exhibit. Towne's construct features a still-working J.C. Penney 8-track player booming out stuff like the Fabulous Poodles, Jefferson Starship, and Herb Alpert and the Tijuana Brass. View some of the pieces from the show in our Gallery. 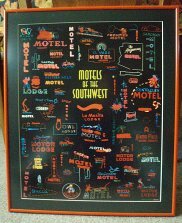 On this site you will find several resources for vintage neon motels and signs from the American Southwest. 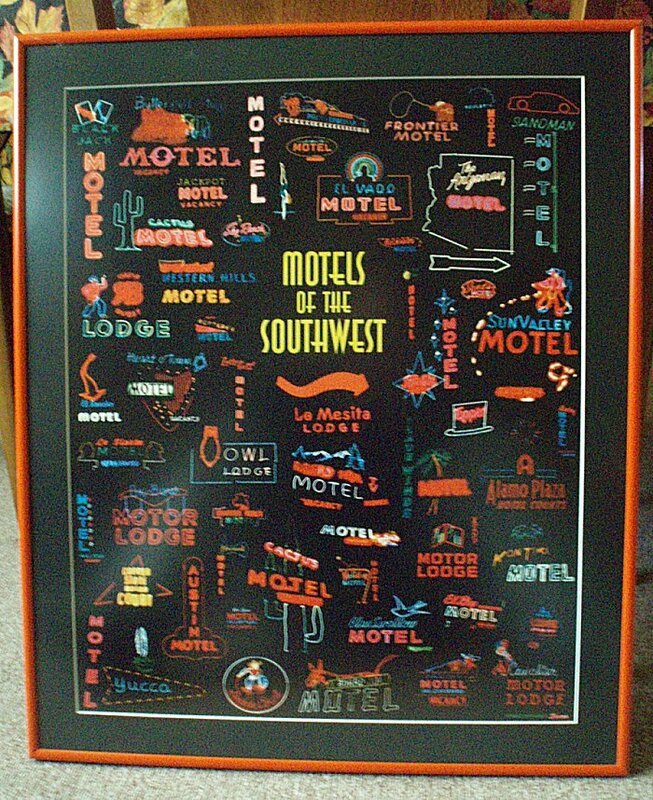 We are especially proud of our Motels of the Southwest poster, which has been finding its way around the world to homes and offices of fellow neon aficionados. artwork I've seen in years!" to scope them out myself."